Let This Be All You Have to Think About. 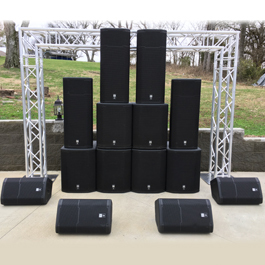 Whether you're planning an outdoor event or your band's first big gig, Stage Rite Sound has you covered with our stage sound equipment in Nashville, TN. 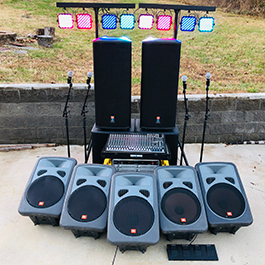 Drawing on years of experience, we offer a variety of sound system speaker rentals designed to enhance your sound and make your life easier, so you can focus on entertaining your guests. Our rental rates depend on your needs. 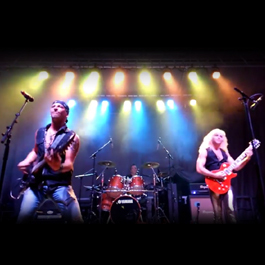 With options from systems for large outdoor concert venues to a small DIY-style PA setup, our services are not only affordable, but tailored to exactly what you're looking for. 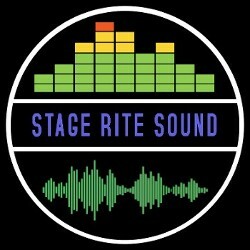 Keep in mind, all Stage Rite Sound PA systems are fully customizable. Simply give us a call, and we'll create a personalized quote for you in minutes.